In the third of his articles on the Search for Truth, occult writer and theologian, John Temple investigates the Bible story of the Nativity, revealing something of the occult knowledge it contains. There cannot be very many people who do not know the story of the Nativity. We are all familiar with the shepherds watching their flocks by night (or washing their socks by night as some of us may have sung disrespectfully in our younger days!). We know about the Wise Men and their gifts of Frankincense, Gold and Myrrh. We see the stable and the manger in our mind's eye, the loving mother tending her babe, the animals and all the rest of the props of what has now become an essential part of Christmas, no less so than the turkey and mince pies, and the invasion of obstreperous relatives we have managed to successfully avoid for the rest of the year! Beautiful as the story is, it has a hidden and very much deeper meaning for the mystic, the philosopher and the occultist, as I hope to show in this article. To do so I will employ a few of the keys of occult science to unlock the hidden meaning in these familiar verses. Thanks to the labours of such great occultists as H. P. Blavatsky, many of these keys are now partially in the public domain, such as allegory, symbolism, astrology and astronomy. You can find more information about these keys in many of the occult books recommended on this website. If you take the time to learn how to use them and study the allegories and symbols in such books as Isis Unveiled, The Secret Doctrine and The Golden Star, you may be amazed at what is concealed in the Bible and other sacred books. If you are really successful, you may even beat Dan Brown at his own game. Unfortunately I cannot promise that this will make you rich and famous, for although everyone loves a good mystery, very few want to learn the TRUTH! "And there were in the same country shepherds abiding in the field, keeping watch over their flock by night." The Bible mentions 'shepherd' 74 times in the singular and 33 times in the plural, whilst 'flocks' and 'flock' appear no less than 249 times! As the Bible is not, in the main, a vade maecum for farmers, the frequent occurrence of these words suggests they have another meaning than the merely agricultural. When we also recall that Jesus calls his disciples his 'flock' and refers to himself as 'the good shepherd' we can be certain that the 'shepherds' mentioned in the Nativity were spiritual teachers watching over their 'flock', or group of disciples. We further learn that they did so by 'night'. Whilst we cannot rule out the possibility that this is a later interpolation by a meddling priest to fit the timescale of the events to be unfolded, I incline to the view that it is an authentic part of the original story. Night which cloaks the evil deeds of men; when unseen terrors stalk the earth and the spirit is freed from the flesh to dream its dreams of light or darkness. But the faithful disciples are safe, for their Teachers watch over them and protect them, even in their sleep. "And, lo, the angel of the Lord came upon them, and the glory of the Lord shone round about them: and they were sore afraid." "And this shall be a sign unto you; Ye shall find the babe wrapped in swaddling clothes, lying in a manger." The Teachers have received the message which is clear and unequivocal. There is no mention of the 'star in the east' at this point, for that is not mentioned by Luke. Yet what of the 'manger' which Luke does mention no less then three times. Is this significant? I believe it is; the clue lies in the words 'this shall be a sign unto you.' In other words, 'take note, here comes a symbol.' This is where the astrological key I mentioned earlier comes into play. The 'manger' or 'beehive' as it is also known, is a lovely cluster of stars in the constellation Cancer called 'Praesepe', which Latin word means not only a 'hive' but also a 'Manger' or 'Crib'. The classical astronomer Ptolemy called it "the nebulous mass in the breast of Cancer." Here we have another clue, for Cancer is pre-eminently the sign of the Home and Motherhood, and this immediately connects it with the mother of the babe to be. On either side of Praesepe we find two stars known by the Greeks as Onoi or the Aselli, which means the Two Asses or Donkeys. So a long time before the birth of Christ we find the figures of the manger set between two asses or donkeys, and located in a part of the sky pre-eminently associated with birth and rebirth, proving the antiquity of the age-old story of the birth of the Saviour. Now let us have a look at the night sky in any year at midnight on 25 December in the northern hemisphere. What do we find? We see the zodiacal sign Cancer directly above us—in the midheaven as astrologers say—containing the manger! The opposite sign, Capricorn, is beneath our feet, whilst Libra, the sign of the scales, or balance, symbolising the coming of the Prince of Peace, is rising in the east. Does this suggest anything to you? I hope it does! Attentive astronomers among my readers will have noted that the zodiacal signs are not the same as the constellations. Consequently when the astrological sign Libra is in the ascendant, it is the constellation Virgo—the VIRGIN that is actually rising in the east at midnight on 25 December. If we then look around us at the rest of the night sky what else do we find? In the east, just above the horizon we find the constellation Leo—the LION, whilst in the west Taurus—the BULL and Aries—the Ram or LAMB, are setting. High above us, we see the brightest star in the heavens, Sirius, shining down upon the manger, in the constellation of Cancer. The Manger in which we find the Holy babe, surrounded by the stellar zootypes that were later transmogrified into the animals we are familiar with from the Bible story of the Nativity. So we see that the whole event is nothing more nor less than an astrological and astronomical allegory of the birth of a Saviour who is destined to save and redeem mankind. If you agree with my thesis so far you may be wondering why no one has discovered these hidden meanings before. The short answer is that with very few exceptions Bible interpreters are in the main theological scholars, not occultists! Very well, you may say, but how has it happened that all this wisdom was concealed in these verses in the first place, and who put it there? These are both excellent questions which cannot be fully answered in a short article such as this. What I can say is that from St Paul onwards, some of the Fathers of the Church, such as Clement and Origen, had either been initiated into the Greek Mysteries, or were closely associated with those who had. Synesius (373 - 414 A.D.), is one example of the bishops of the early Church who tried with varying success to preserve the doctrines of Neoplatonism and what remained of the Mystery Teachings of Greece and Egypt by incorporating them into the emerging canons of Christianity. Those who are interested in following up this line of enquiry will find much useful information in Walter Cassel's Supernatural Religion, published in 1902, which explores the origins and doctrines of early Christianity in great depth. Here we must regrettably leave this etymological digression and St Luke, and continue our study by turning to the Gospel of Matthew, Chapter 2, verse 1 onwards. "Now when Jesus was born in Bethlehem of Judaea in the days of Herod the king, behold, there came wise men from the east to Jerusalem." "Where is he that is born King of the Jews? for we have seen his star in the east, and are come to worship him." This is the first mention of the 'star in the east.' As we do not know with any certainty when Jesus was born (see afterword at right), it is impossible to identify this mysterious luminary with the planets Jupiter, Saturn, or any of the major stars in the constellations rising at the time and place of his birth. What we can say is that the appearance of a star, or stars, have heralded the birth of many Messengers from God to man, as we may read in The Gospel of Chrishna-Jeseus published on this website. It is worth mentioning at this point that the Divine truths have ever been shrouded in mystery which only the sacred keys mentioned earlier can unlock. Nothing was ever communicated in plain words, but only through allegory, symbols and metaphor, lest the uninitiated masses obtain knowledge that could be misused and perverted for selfish purposes. Without these keys, the hidden meaning in the Bible and other sacred texts remains a closed book. We may safely skip verses 3 to 10 in Matthew's account as they contain nothing of interest to this investigation, and consist almost entirely of the theological window-dressing I referred to earlier. Verse 11 however does interest us and it is now that we hear about the 'gifts' of the 'wise men'. "And when they were come into the house, they saw the young child with Mary his mother, and fell down, and worshipped him: and when they had opened their treasures, they presented unto him gifts; gold, and frankincense, and myrrh." What have we here? Let us begin with the word 'treasures'. At first glance it looks as if the treasures which the wise men 'opened' were the gifts of gold, frankincense and myrrh. The author is simply repeating himself. But is he? Let us look a little deeper: 'and when they had opened their treasures.' This use of the possessive past tense makes it clear we are here confronted with two separate events. Separate in time and separate in meaning. The treasures belonging to the wise men are not the same as their gifts, which are given later. So what can these 'treasures' be that the wise men opened to the Christ-child? If you have not already guessed, I will tell you: occult knowledge and truth. The wise men impart their occult knowledge to the Saviour-to-be, for even the wisest need instruction if they are to recognise Truth and fulfil their mission, whatever it may be, and Jesus was no exception to this rule. We know this from the Gospels, which tell us that Jesus entered the Temple to be taught by the religious Masters of those times. "...they found him in the temple, sitting in the midst of the doctors, both hearing them, and asking them questions." (Luke 2:42). Note how Jesus both heard them and asked questions. So the wise men 'open their treasures' to the babe in the manger. They confide their mysteries and instruct him in the secret knowledge. Here we have further confirmation, if such were needed, that we are dealing with an ALLEGORY; a wisdom teaching cloaked in symbolism, and not a literal account of actual events. It must be clear to every thinking person that a new-born baby is quite incapable of understanding any elevated teachings. So we may safely say that the story has now jumped forward in time to a point where the young Jesus is capable of receiving instruction from his Teachers, whoever they may have been. It is only after his instruction that he is capable of appreciating the meaning and purpose of the 'gifts' the wise men lay at his feet. It is significant to note at this point that Jesus was said to be 12-years-old when he entered the Temple. 12 was also the age at which students were admitted to the Mysteries of Greece and ancient Egypt. 12 is also the number of the disciples, the tribes of Israel and the signs of the Zodiac. 1 and 2 add to three, symbolising the Divine Child born of the Father and Mother, the true Trinity which dogmatic Christianity has usurped and distorted by substituting the nebulous 'Holy Ghost' for the Mother-God of so-called Paganism. So we see that the key of numerology also has its part to play in revealing the hidden meaning in this story. You can read more about the real science of numerology in our article of the same name. But let us return to Matthew's narrative and see what else we can discover about the gifts the wise men gave the infant Jesus. "They presented unto him gifts; gold, and frankincense, and myrrh." Gold has been associated with light, perfection and the Sun since the earliest times. The Inca called gold 'the tears of the Sun' and there is not a temple or sacred edifice to be found that has not been adorned with this precious metal. So Jesus receives gold; he is enlightened and illuminated by its sacred lustre. Moreover, gold does not tarnish and endures for ever. For how can the Divine Truths ever perish? Like gold, frankincense has been used and is used in religious rites all over the world. It both purifies and elevates; sanctifies and blesses. Rising incense is often used as a metaphor to describe the liberation of the Higher Self from the prison of the body. It also plays an important role in providing the right conditions for spiritual meditation and contemplation. So we have now enumerated two of the qualities or virtues which God gives to those who truly love and serve Him; namely enlightenment and purity of heart, mind and body. But what of myrrh? The word is derived from Aramaic, meaning 'bitter'. At times its value has been equal in weight to gold. It has been used throughout history as a perfume, incense and medicine. In Biblical times it was used as an unguent in the embalming of the dead. All this gives us several clues to the purpose and meaning of this rather strange gift. Earthly life is often 'bitter'. Jesus' life certainly was, as was the life of every one of the great Messengers from God to man. For men and women in the main do not want to hear the truths they teach. Yet there is virtue in suffering if nobly born as all the great spiritual teachers also affirm. So Jesus is given his 'medicine', which is the bitter pill that his teachings will be spurned, distorted and misunderstood by the very people who stand most in need of them. But he is undeterred. He accepts the gift, though he knows it will mean his death. Having imparted their knowledge and presented their gifts, the wise men take their leave of the Holy Infant. But before we end our investigation there is one final verse in Matthew's Gospel which conceals an important message for every genuine and sincere seeker after Truth and Wisdom. Here it is; see what you can make of it. And being warned of God in a dream that they should not return to Herod, they departed into their own country another way." The meaning is as clear as crystal, is it not? No? Let me help you, once again using the keys of allegory and symbolism. 'Herod' is simply a symbol for evil, both figuratively and literally. As such he is also a synonym for ignorance, for there is no greater evil than ignorance, whatever form it may take, as I am sure you will agree. So the wise men are warned 'in a dream' (through meditation, through prayer, or by any other transcendental means which frees the Higher Self from the body and allows us a glimpse of Truth) to give Herod the slip. For who would want to return to ignorance and darkness once they have imbibed knowledge and recognised the light of Truth? So they journey 'into their own country another way.' The country of Truth by means of the path to the Light. Simple isn't it? Or perhaps not; you decide. But whatever you decide I hope that this brief investigation of the well-known story of the Christian Nativity has been as interesting and profitable for you to read as it has been enjoyable for me to write it. Speaking of enjoyment, in December 2016, the editors of Occult Mysteries received an article from a contributor which re-tells the story of the Nativity in a modern way. I didn't stop chuckling all the way through and heartily recommend it as an antidote to the worst excesses of what many now call the 'silly season'. The author, Gabrielle Annunziato, whilst modestly downplaying her considerable esoteric knowledge, nevertheless displays it in abundance in her delightful story as well as biting wit and genuine warmth. Read it, it truly is a Christmas present you won't want to pass up! In this unique series of twelve articles, the author explores and investigates the many links between Religion and the Occult, focusing especially on the hidden meaning concealed within the Bible and its many correspondences with the Wisdom Teachings of ancient Egypt. Along the way he explores the nature of true spirituality, the illuminati who are supposed to 'rule our lives', the problem of good and evil, prayer and talent. While each article can be read on its own, they form an ascending scale of revelation, the full import of which will only become clear when they are studied in their proper sequence, in the order of publication listed below. Searching for Truth. The moving and true story of a one seeker's troubled and eventful journey of spiritual discovery as related to the author. Who are the REAL illuminati? The author dispels the many misconceptions surrounding the mysterious 'illuminati' and attempts to discover who the occult masters who are said to 'rule our lives' really are and what they do. Esotericism in the Nativity (this article). An investigation of the Bible story of the birth of Jesus, revealing the many layers of hidden meaning it contains, and the historical parallels between Jesus and the many saviours of other religions. If God is good why does he allow evil? An investigation of the problem of Good and Evil from the perspective of occult science and some important extracts from the Oera Linda Book which shed light on this age-old question. Esoteric meaning of Easter. An investigation of the true significance and esoteric meaning of Easter, the resurrection of Jesus, and the parallels between the Christian and ancient Egyptian religions. The sayings of the Saviour analysed. An occult investigation and analysis of some parables from the NT gospels, the real origins of Christianity and its close connection with the wisdom teachings of ancient Egypt. The metaphysics of Talent. An analysis of the hidden meaning in the parable of the talents in the New Testament, what talent is; whence it comes, where it leads, and its right and wrong use. The power of Prayer. An investigation of the nature, purpose and power of prayer, the many misconceptions surrounding it, and an analysis of the occult truths contained in the Lord's Prayer. Facts and fictions of the Church. An investigation of the origins of the Christian Church, some of its doctrines and dogmas, and the so-called 'heresies' which threatened its survival in the early centuries of our era. The Mystery of Jesus. An investigation of the evidence for the existence of the historical figure of Jesus and the occult truths concealed in the Sermon on the Mount. John Temple is the pen-name of a writer who has studied and practised the occult sciences for more than 60 years. He graduated from Cambridge University with a first in Theology and Religious Studies and has lectured to students around the world on a wide variety of occult, religious and mystical subjects. He is now retired and lives quietly in London with his wife, two Yorkshire terriers and a talkative African Grey Parrot called 'John' (no relation). © Copyright John Temple & occult-mysteries.org. Article added 17 November 2013. Updated 21 April 2019. In this afterword to his article on Esotericism in the Nativity, John Temple examines the historical parallels of the Biblical account and concludes that the story is as universal as it is eternal. In discussing the historical parallels to the Christian Nativity, it is NOT my intention to undermine the simple faith of those who believe in the literal sense of the Bible story. Moreover, nothing that I do say can diminish the beauty and pathos of the narrative as it has come down to us. On the contrary, the very fact that so many religions tell the same story should strengthen our faith, whatever form it may take, provided we are sincere and genuine in our profession of it. If such similarities prove nothing else they surely prove that, once we have stripped away all man-made dogmas, the story of the birth of a Divine Saviour is as universal as it is eternal. Many of my readers, especially those who have read The Gospel of Chrishna-Jeseus, will know that the story of the Nativity is not unique to Christianity. Quite how old the tale of the birth of a babe destined to save and redeem mankind is I would not like to say, but there are very few nations in history who do not have records of the birth of a saviour on, or about 25 December. In volume II of Isis Unveiled we can find several lists of the child-saviours of different religions. In ancient Egypt, he was Heru-pa-Khart, or Horus the Younger, often depicted as a babe with his finger upon his lips signifying that he only opened his mouth in parables. Or we see him cradled in the arms of his virgin mother whether that mother is Isis in Egypt or Maia and Devaki in India. In ancient Persia, he was Mithra, the bright child of the Sun-God; in Babylonia and Sumeria, Tammuz and Oannes; in Greek mythology, Dionysus; in Rome, Bacchus and Adonis; and in India, Krishna. All these saviours were born on, or about, 25 December in the respective calendars of their nations. It was principally to combat the power and influence of these so-called 'Pagan' deities that the Christian Church fixed the date of 25 December as the birthday of their saviour in the middle of the fourth century. Prior to that, there was no agreement on which day he had been born, some Christians celebrating the event on one date, and others on another, whilst most never celebrated it at all! In the second century we find Clement of Alexandria writing: "There are those who have determined not only the year of our Lord's birth, but also the day; and they say that it took place in the 28th year of Augustus, and in the 25th day of the Egyptian month Pachon which is 20 May in our calendar." Another early Church Father, Origen, goes so far as to mock the Roman celebrations of birth anniversaries, dismissing them as 'pagan' practices. This is not surprising when we learn that the Romans had long celebrated their mid-winter Saturnalia in late December, as had the Druids and Celts before them. As late as 274 A.D. the emperor Aurelian established a feast to celebrate the birth of 'Sol Invictus' (the Unconquered Sun), on 25 December. All this confirms that 25 December had been set aside long before the birth of Jesus as marking the nativity of the various saviours who preceded him in the sacred iconography of antecedent religions. Those who know something of astronomy will be well aware that 21 December marks the winter solstice when the Sun reaches its maximum declination south of the equator and we in the northern hemisphere experience the shortest day and longest night of the year. So here we have a sound astronomical reason for celebrating the birth, or rather re-birth, of the Sun and Son, at this time of the year. In addition to sharing the same birthday, the various saviours I have mentioned also share the same history. All were born of a virgin mother in humble circumstances. 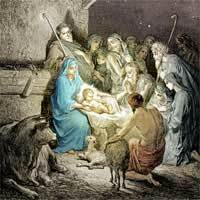 Shepherds attended Krishna's birth, just as they attended Jesus'. Isis hid Horus from his enemies in the marshes, just as Mary took Jesus down to Egypt to save him from Herod. Krishna was protected by the shepherds from the wrath of Kamsa, who wished to slay him. I could go on citing example after example in support of the similarities that exist between the Biblical story of the Nativity and that of other saviours throughout human history, but enough has been said to prove the connection. Readers who are interested in exploring this further will find no shortage of modern and ancient literature on the subject. 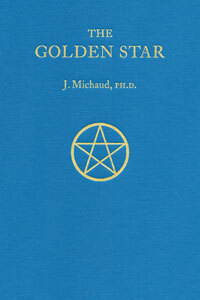 Aptly described as "A BOOK FOR INITIATES", The Golden Star expounds the most ADVANCED OCCULT TEACHINGS, never before revealed to the public, yet in such a fascinating manner as to hold and extend the interest of the novice. 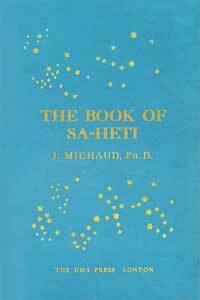 The book is written in the form of a story, in which two Egyptian pilgrims, Ma-u and Ma-uti, are conducted through the higher and lower planes by Neteru-Hem, a Messenger from the Divine. During their journey they are gradually introduced to the true laws and principles of the Universe. During their remarkable journey, the two pilgrims are taught about the real nature of matter and spirit and the ways in which these two entirely opposite principles are interwoven. The many subjects covered include the origins of the universe, witchcraft, magic (both black and white), spiritualism, the inhabitants of the four elemental kingdoms (Gnomes, Sylphs, Undines and Salamanders), psychism, clairvoyance and clairaudience, true, spiritual vision, divine inspiration, the occult constitution of man and how to attain cosmic consciousness and oneness with the Divine. This virtually unknown occult biography is the true story of one man's search for wisdom and enlightenment. The book begins with the birth and childhood of Ruru—a seeker after mysteries—whom we follow in his journey of discovery through the gorgeous scenery of the India of 2,000 years ago. We make the acquaintance of many different characters in this book, such as a most lovable Ascetic and an evil Black Dwarf; a learned Brahman Priest and a menacing, wandering monk; a wise and kind old philosopher and the seductive Princess Sulochana and her chattering maid; all drawn with unerring skill by the author. 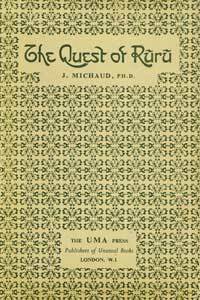 We witness a terrifying 'black mass' by an evil wizard which actually took place; share the extraordinary tests and trials of Ruru as he is initiated into the Arcane Mysteries; partake in strange adventures; meet a Master who surely represents the ideal of every Seeker; and—above all— discover some of the hidden secrets of the Universe, so far as they may be disclosed. This rare occult biography of the life and teachings of the Holy Hindu Saviour, Krishna, reveals the secret teachings of Jesus with glittering power and great beauty. The author has taken the many incidents from the life of Krishna that were later incorporated in the New Testament and developed these episodes to explain and elucidate the hidden laws and principles of man and the universe. Like all the Great Messengers who have blessed this earth with their Holy Presence, the life and teachings of Krishna have been greatly distorted, misinterpreted and misrepresented over the many centuries that have passed since he brought his Message of Light and Liberation to mankind. Here you will find the Sublime Occult Truths revealed in all their pristine purity and radiant beauty. Truths which unveil the mysteries of Life and Death and the secrets of creation and evolution. This book is an intense spiritual adventure for the sincere seeker after Truth and a treasure-trove of wisdom and comfort for every kind of reader. 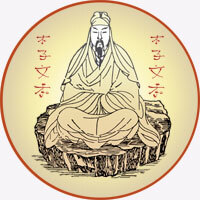 This enchanting book contains the teachings of a forgotten ancient Chinese Philosopher of over 2,000 years ago, rescued from oblivion for the first time in our modern age or at any other period of occult history. This is one of those very rare books in any age that can change your life for the better. You do not need to be an occultist or mystic to benefit from the wise sayings and teachings it contains. There is enough practical wisdom of the right sort in this book to last anyone a lifetime. Whatever your beliefs, The Teachings of Li Wang Ho provide an inexhaustible and never-failing treasure trove of advice for every occasion that can transform failure into success, sorrow into joy, and ignorance into wisdom.